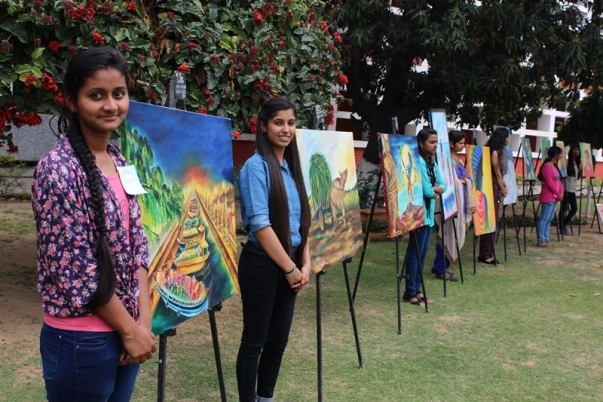 ‘Kala-Srijan’, the Creative Hand Society of the Fine Arts Department organized the Annual Art Exhibition. Dr. Jagtej, Chairperson, Department of Art History and Visual Arts, Panjab University, Chandigarh was the Chief-guest on the occasion and inaugurated the Exhibition. The exhibition displayed more than 150 works in various categories like Creative Composition, Life study, Still life, Posters, Advertisements, Landscapes, etc. Creative designs on canvas and artistic key holders made in an art workshop were some of the novel and beautiful items among the exhibits. The art works of the Fine Arts students of class BAI, BAII, BAIII were excellent, unparalleled and a feast to the eyes of one and all. The exhibition also included the works of the alumni of the department presently pursuing their post-graduation in Fine Arts. Chief-guest Dr. Jagtej, appreciated the creativity and imagination of the students for high standard of their aesthetical expression. 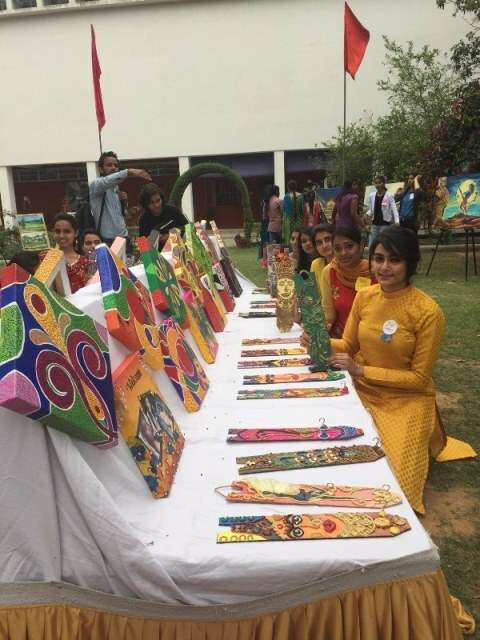 Dr. Anita Kaushal, Principal praised the young creative talents and applauded the efforts taken by the society for conducting such an interesting art exhibition in a most innovative way. Dr. Guneeta Chadha, Head of the department of Fine Arts introduced the theme of the exhibition and the explained the relevance of holding exhibition in the academic life of art students. Dr. O. P. Parameswaran proposed a vote of thanks.